Select your days at Sugarloaf ME Patroller School. Choose the event that best describes the education you are seeking. The OET training events are $42.50 each day (Boyne Pass holders receive a discount), which covers the cost of instruction and lift tickets. Don’t forget to add the POTLUCK ticket to your purchase cart and describe the dish you are preparing to share. A full day of testing that will run candidates through the all the OET components of the exam. This test is designed to determine if a candidate has the abilities to preform OET skills at a “Certified Level.” The Certified Pre-Test is a prerequisite in order to be eligible to take the exam in March and Killington Patroller School is the last Pre-Test of the season. “Come join us for a great slopeside dinner. Don’t forget to BYOB.” Saturday, January 26th! Lodging and Accommodations: Lodging is the responsibility of each individual Patroller or gather a group and pick up a Condo. Please call Sugarloaf Resort to make arrangements at the discounted price. Discounts ending on December 28th, plan ahead to lock in your price. Please call Sugarloaf Resort Reservations at 800-843-5623 and ask for the “NSP Eastern Division” prices. Download this Sugarloaf Lodging Worksheet and call reservations. Lodging rates subject to Maine State tax of 9%. And 4% facility fee. A 50% deposit is required at the time of reservation. 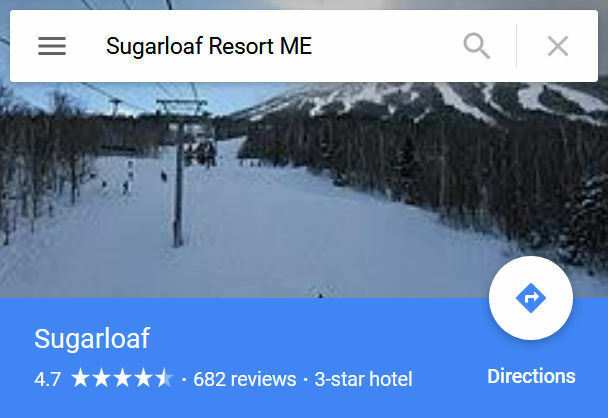 Consult Sugarloaf Reservations agent regarding lodging details and fine print. Division Staff Members and TE’s volunteering to teach for Patroller School must CHECK-IN so that we can plan the teams teaching Patroller School attendees. Patroller School is free to those volunteering to teach. Fill out the form, submit and confirm that you are available to work.